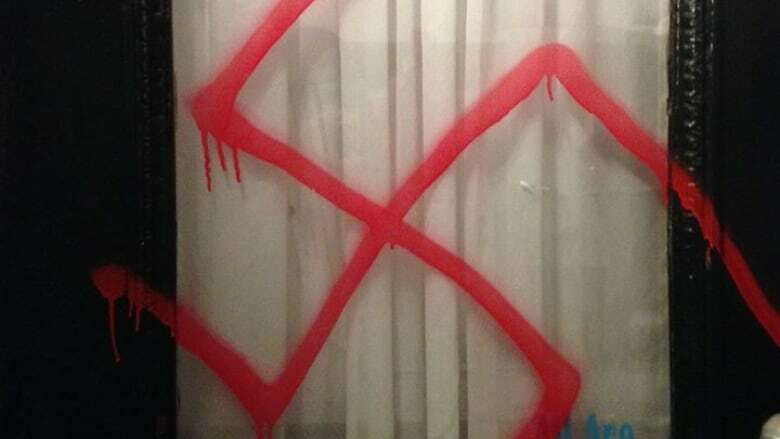 A teenager accused of spray-painting racial slurs and swastikas at six different locations in Ottawa in a single week last November could now face sentencing in adult court. The teenager accused of spray-painting racial slurs and swastikas at six different locations in a single week last November could face sentencing in adult court. The teen pleaded guilty Friday to five charges including inciting hatred, mischief against religious buildings, threatening conduct, possession of weapons and breach of conditions following a previous conviction. All the charges stem from a series of incidents between November 13 and 19 when the teen spray-painted racial slurs and symbols of white nationalism on two synagogues, a Jewish prayer house, a mosque and a church whose minister is black. Crown prosecutor Moiz Karimjee made the request to have the teen sentenced as an adult, handing in a 40-page brief to bolster his argument. The brief included evidence from the teen's various online accounts, including his Facebook page, where he listed his occupation as "hitman for Hitler" and his religious views as "Satanism, Nazism and destruction." Karimjee noted that the youth justice system sets a three-year maximum sentence, which would include probation time as well as time served — despite a finding by the forensic psychiatrist that the youth had a high risk of reoffending during his first five years of release. Karimjee also told the judge the youth resisted attempts to get him to take part in restorative justice, an alternative form of sentencing that would have included meeting with the victims of his crimes. The offer would have meant no jail time if he was willing to work with the black, Christian, Jewish and Muslim communities affected by his vandalism spree. Representatives of those communities supported that offer, according to Karimjee's brief. In December, the Crown and Rev. 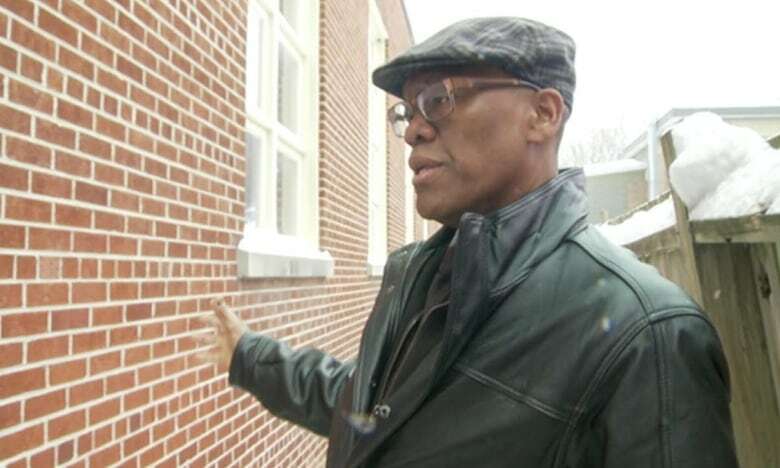 Anthony Bailey of Parkdale United Church met with the accused in person to try to get him to take part in the program, but Karimjee said he refused. Parkdale United, which has a highly diverse congregation, was spray-painted with the word "n--gers." Bailey, who is also black, described in his impact statement how the vandalism brought back devastating memories of his own brother's death. "It acted as a trigger for the memory and trauma of the murder of my brother John in Montreal," said Bailey in the statement, which was included in Karimjee's brief. "It was a racist attack against him and me. Four men charged us with knives having yelled 'let's go kill these 'n--gers'. He bled to death in my arms on the street before help could arrive." 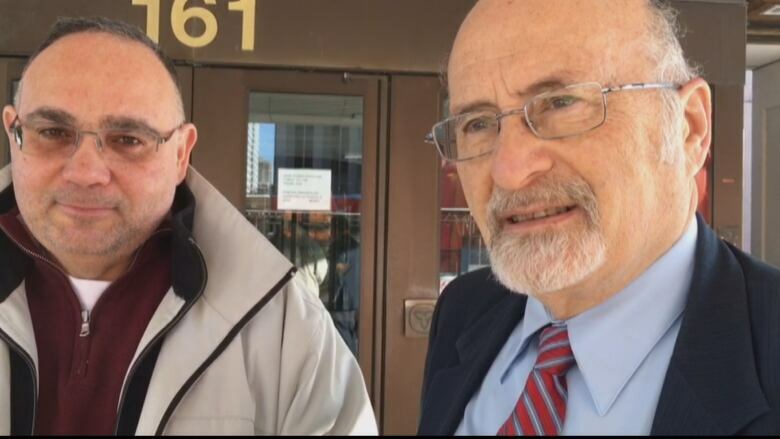 Other religious leaders at the courthouse Friday expressed disappointment with the teen's refusal to change his views. "I had really wished he could have a change in his heart," said Ahmed Ibrahim with the Ottawa Muslim Association. "I was really shocked when he refused ... and that's an indication that he needs help." Rabbi Reuven Bulka with the Machzikei Hadas Synagogue said that while the congregation was able to take the offensive paint off their buildings, the inability to rehabilitate the young person at the centre of the incident is very sad. "This is very disappointing, to hear that the hatred is so entrenched, and not even [see] a scintilla of remorse or a desire to better oneself. That's tragedy," said Bulka. "That's real tragedy." Karimjee's brief also included notes from a meeting with Dr. J. Paul Federoff, a forensic psychiatrist, illustrating the teen's state of mind at the time of the incidents. "Asked why he chose the synagogue he targeted, he commented, 'It could have been a church or mosque but I prefer synagogues because I get a better reaction,'" the notes said. In an assessment of the teen's likelihood of reoffending, Federoff said that nearly six out of 10 men who'd scored as high as the teen on the assessment had committed another violent offence within five years. Over 12 years, nearly eight out of 10 with similar scores reoffended, Federoff said. The Crown's brief, meanwhile, contained details of the teen's troubled past during the 12 months prior to the November attacks, including an assault conviction involving another teen the same age for an incident at a local high school in 2015. CBC reported on that conviction, detailed in an ongoing Ontario human rights case that also involves vandalism and anti-Semitism. The teen was also convicted in August 2016 for attempting to rob a 73-year-old woman using a knife, according to the Crown brief. The judge has agreed to a further assessment of the youth, to see whether he should be sentenced as an adult and whether he should be named a long-term offender as requested by the Crown. The teen's sentencing hearing is expected to begin May 9.